The INSIGHTS' Contact Centre Training Program has achieved unrivalled success across the Middle East Region. The program is unique to many parts of the world, let alone this region. 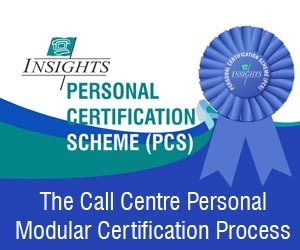 The uniqueness of the INSIGHTS' Program stems from INSIGHTS' affiliation with international accreditation bodies and a consistent, congruent approach to Contact Centre training. The Global Contact Centre industry has adopted a 'competency-based' approach to recruitment assessment, performance management and now, to training. The INSIGHTS' Program is a competency-based program structured around international guidelines. The Program begins with the Essential Agent Skills course. This course is designed to introduce new recruits to the contact centre industry. It is designed to set their expectations for their new work environment and covers common issues regarding the wearing of headsets, schedule adherence, teamwork, technology and professionalism. It is a highly inspiring course designed to motivate and educate new recruits. The more thorough agent competencies such as listening skills and questioning skills are covered in the Advanced Agent Skills course, which also offers modules which cover Outbound calling, sales techniques and eCare skills including email writing and web chat management. The next layer of courses are designed for Supervisors and Team Leaders. These courses are designed to facilitate leaders and supervisors to lead and manage team/s of agents who have passed the Essential/Advanced Agent courses. The concept being that by attending the training programs agents will have certain expectations of their leaders. These courses are designed to ensure that the leaders and supervisors are competent in their job function whilst delivering on the expectations of the agents they lead. Of course, the Supervisory course, by its very nature, focuses the expectations that supervisors have of their managers. INSIGHTS' recognise the importance of supervisory expectations in terms of developing a motivated work-force and so they have developed a number of training programs aimed specifically at call centre managers. The fundamental management course is the INSIGHTS' Certificate in Call Centre Management and the advanced course is the CIAC-accredited certificate course. The CIAC qualification is recognised as a global standard in contact centre management training and offers graduates opportunities for further qualification should they decide to develop their career further. 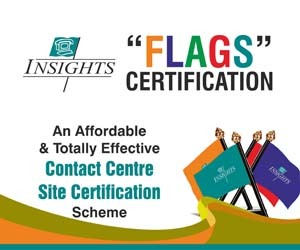 To date, all INSIGHTS' course have been delivered by INSIGHTS' consultants and trainers. INSIGHTS' however, recognise that for very large organisations, this approach is not always the most efficient. When there are large numbers of agents requiring, not only initial, induction training but also constant recurrent training and coaching, corporations need their own, qualified, in-house training resources. In order to meet this requirement, INSIGHTS' have developed an Associate Training Program. In its most simplistic form, the Associate Training Program provides a process where contact centre employees of large organisations who have successfully completed the INSIGHTS' training programs (with superior results) can take additional, 'train the trainer'-type programs from INSIGHTS. Upon completion of the program and the associated written and practical tests, the individual will be certified to deliver specific INSIGHTS' courses (in part or in full) to employees within the INSIGHTS' partner organisation. In addition to this initial certification, the Associate will be required to attend at least two refresher training events per year and one contact centre conference event per year. The Associate may also take additional training programs at their leisure in order to be certified to deliver additional programs. The Associate trainers (using the INSIGHTS' web site) must register any courses they plan to deliver and register all participants in the course (along with time, date and duration). All participants must take the INSIGHTS', online assessment and the trainer must return classroom and simulation assessments for each participants. The various test will be graded by INSIGHTS' and the certificates of completion will be awarded by INSIGHTS. In addition to this, each Associate can expect an insight's representative to attend up to 4 of their courses per year. Attendance will be random and unannounced. The Associates performance at re-training sessions, the results and feedback of the participants who attend their courses and the results of course inspections will be quantified and the Associate will be required to maintain minimum ongoing standards if they are to retain their certification. A full list of certified trainers will be made publicly available on the INSIGHTS' web site. The training department of partner organisations will be required to undertake warranties associated with protecting the intellectual property rights of INSIGHTS' material and with ensuring that only certified associates may deliver partial or full training programs. INSIGHTS' further proposes annual events where Associates and their students will be presented with various awards.